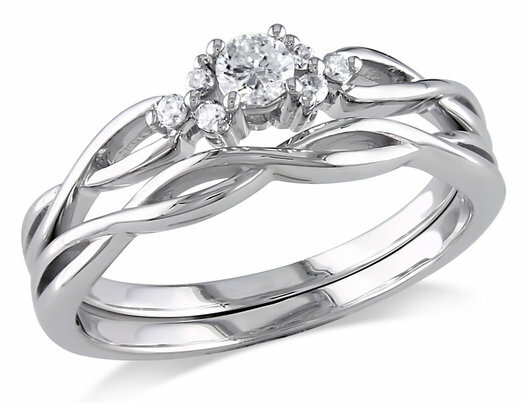 Dazzling and detailed, this diamond bridal ring set is sure to amaze. The round diamond is nested perfectly amid braided, infinity loop-styled white gold for a stunning appearance. Three smaller diamonds are placed elegantly on each side of the center diamond to create a balanced design. This set features a matching engagement ring and wedding band that are enhanced with a high polished 10 karat white gold finish.